Another installment in the Baker Street track replacement works series! 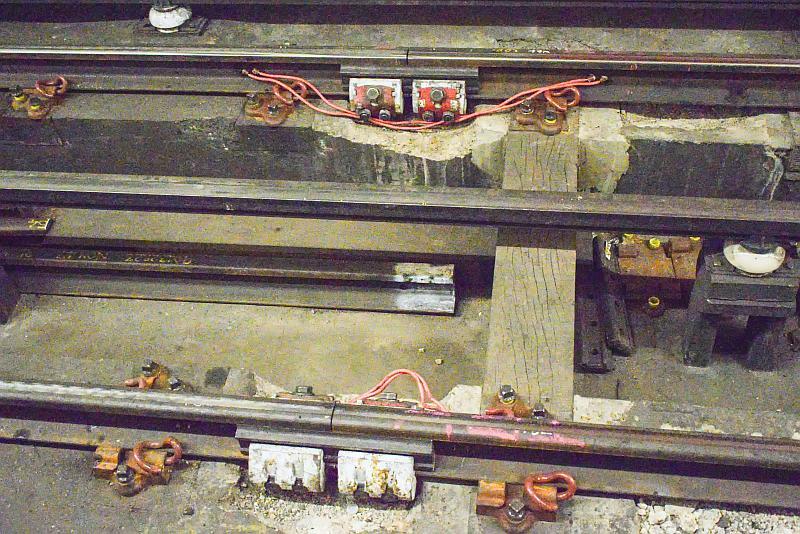 This time we can see the entire track layout at Baker Street consists of flat bottom rail, and I assume the work here has been done (apart from tidying things up and removing the other spare bits of flat bottom rail on the pit floor.) Both Marylebone and Edgware Road still have bullhead westbound so it is quite possible the works will continue towards these stations at a much later date. The junction with the Jubilee exists just beyond the Baker Street platform and I have wondered if they will tackle that. It would require a lengthy stoppage. Over the next six months there are just two lots of engineering work slots on the Bakerloo. There’s a one day closure Queen’s Park to Harrow on 10th February which isn’t what we want, however there’s a three day closure for the entire Bakerloo from 4th to 6th May 2019. Its clear from the notices that is going to be a major job and I assume its the junction at Baker Street that will be replaced. Note the other items on TfL’s track closures – especially the closure of the Jubilee Line too from Waterloo to Wembley Park! That is because engineering trains are not allowed to run over the ATO Jubilee Line unless its passenger trains are stopped entirely. 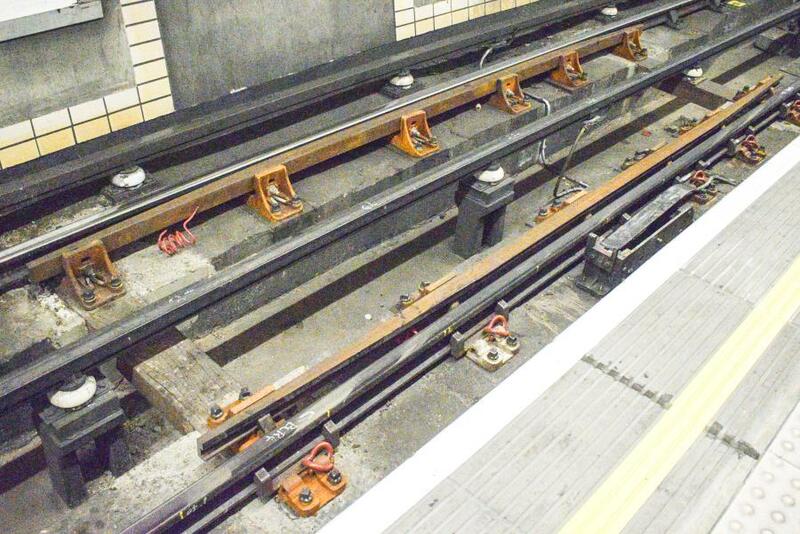 This will allow engineering trains to access the Bakerloo from Neasden depot. Such an undertaking also took place when the points at Paddington were renewed in October and November 2017. I would think due to the very restricted nature of the Baker Street junction (in other words its not a double track section of line) this may explain why TfL are once again closing down the entire Bakerloo line – the many engineers trains will need to be placed elsewhere along the line at Queen’s Park, Stonebridge Park depot etc in readiness for their correct slot into the works at Baker Street – and of course all these special trains will have to be reversed at the Elephant in order to gain the northbound track at Baker Street. TfL’s track closures notice for 22nd January detailing the closure of the Bakerloo on 4-6th May 2019. 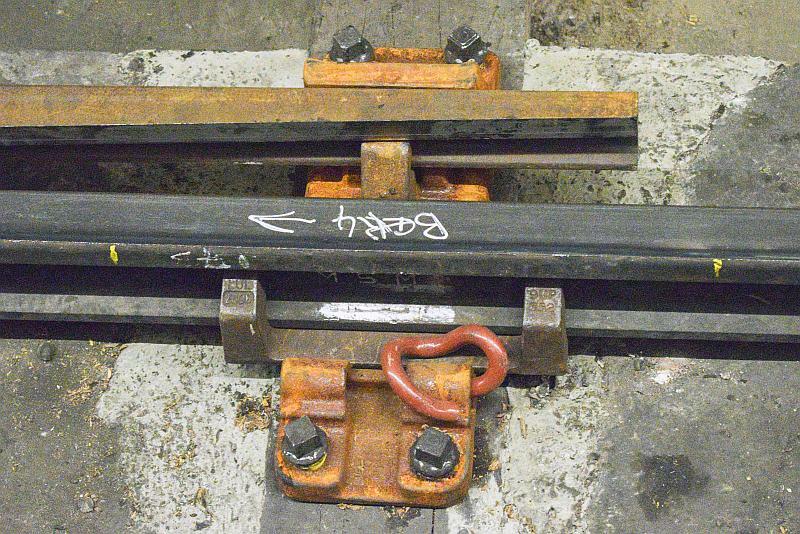 Before we move on and discuss the latest works I wrote earlier about some changes to the chicane at the far end of the Baker Street platform especially the temporary bullhead rail in use and flat bottom fixings adapted for this temporary use. As I had said, the chicane was removed but a new and much shorter one was put in place! Its slightly odd (I’m no track expert of any sort by the way so cant explain these going ons fully but am fascinated by it all anyway) however what has been done is another interesting piece of work. This next bit is the latest on the track changes at Baker Street as of 27th January 2019. As far as I am concerned there is no need for anymore posts on this particular subject so this is the last one actually! The next two pictures show the same section of track before and after. The first shows how the joint between the flat bottom and bullhead rail was temporary employed up to 25th January. The second shows the join as it is now, linking two new sets of flat bottom rail. Eventually it will be welded and the fishplates removed. 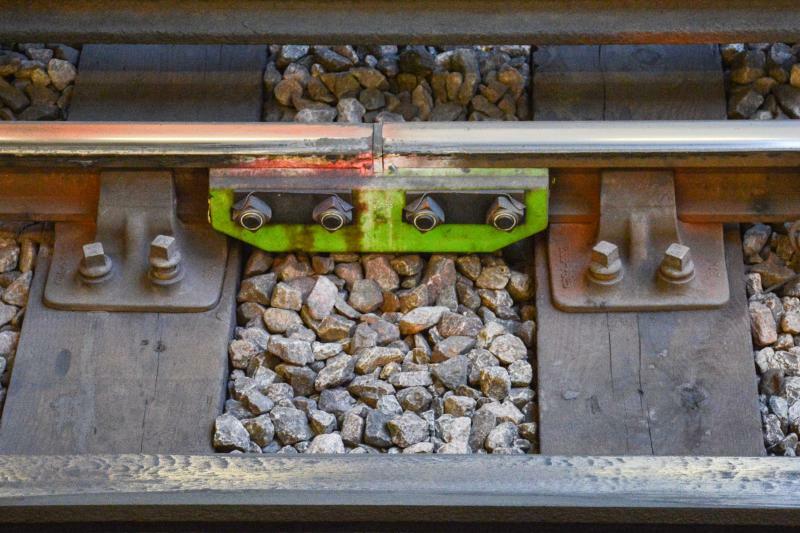 Compare the bottom picture with the one above showing the green painted fishplate and you will see different means of joining temporary track are employed even though the application works just the same. Flat bottom/bullhead joint seen 24th January 2019. Flat bottom to flat bottom rail joint 27th January 2019. As the main header picture at the top of the page shows the chicane too has been completed with different track. Two days ago it had bullhead rail tied down to flat bottom rail fixings using a specially made seat. The bullhead and the special seating has gone and flat bottom rail is now in place. The first image I have repeated again however it makes it easier to see the difference between the two applications. The temporary seating for bullhead rail to be laid in a flat bottom chair. The same exact chair, now with flat bottom instead of bullhead rail. The chicane section as it looks now complete with flat bottom rail. As this view shows the new flat bottom rail now extends into the tunnel possibly as far as the junction with the Jubilee Line. The next major works will of course be that in May when the junction itself is replaced. Next Post: Victoria Line 50th – a cake of a time!